$198 Flat Roof & Gutter Tune-Up. Not Every Roof Needs to be Replaced. Roof leak? 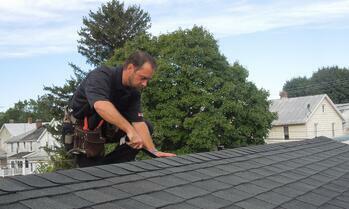 Not sure whether you need a flat roof repair or a new flat roof? Call in the pros from AROCON Roofing and Construction to maintain and extend the life of your existing flat roof system for just a fraction of the cost. Our All-New $198 Flat Roof & Gutter Tune-Up (an $870 value) gives you an immediate fix to your flat roofing issues, without the hassle of scheduling a flat roof repair estimate! Along with the $198 Roof & Gutter Tune-Up, your Roofing & Gutter Technician will inspect your entire flat roof and gutters, along with taking before and after pictures and provide you with a Full 21-Point Attic, Roof and Gutter Inspection Report! *Tune-Ups Available Only in Maryland. For more details of what you need to know about our tune-ups, CLICK HERE.